Marcus Aurelius (161-180). 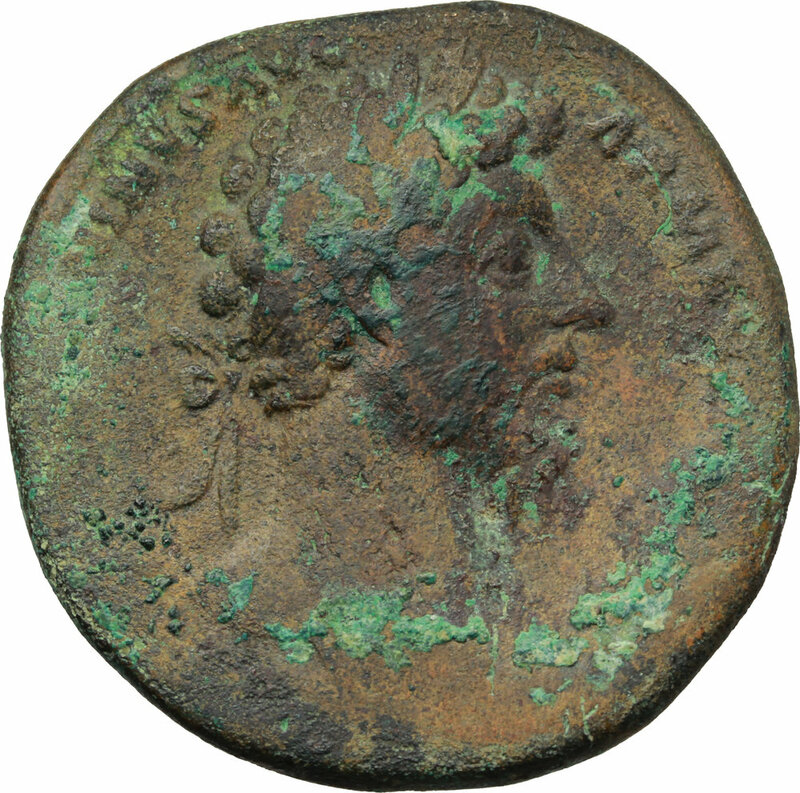 AE Sestertius, 164-165 AD. Obv. M AVREL ANTONINVS AVG ARMENIACVS PM. Laureate head right. Rev. VICT AVG TR P XVIII IMP II COS II SC. 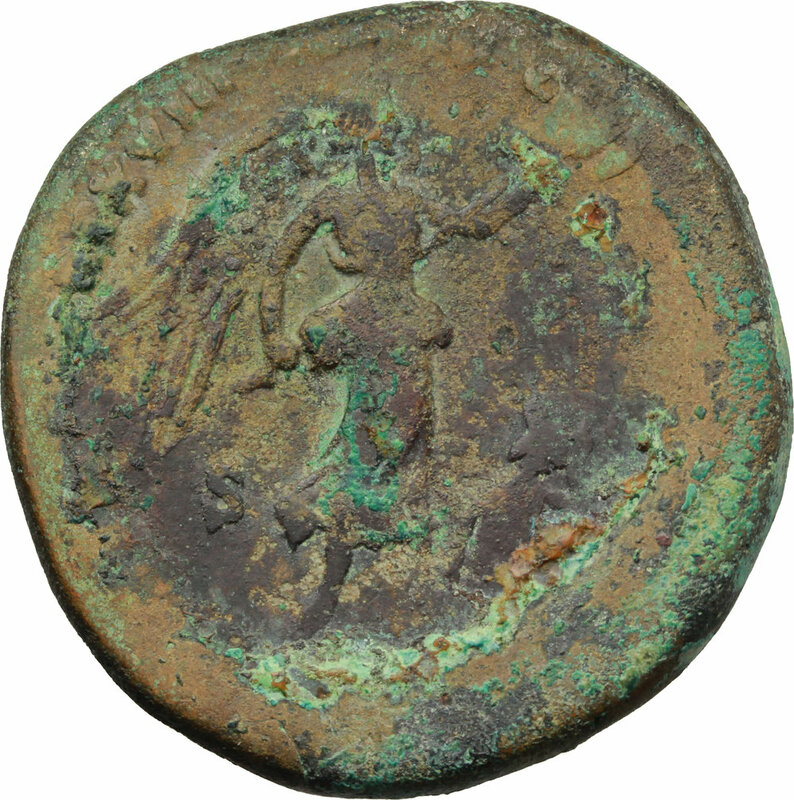 Victory standing right, holding trophy; at her feet, Armenia seated right; before her, standard and shield. RIC 890. C. 984 (Fr. 12). AE. g. 25.85 mm. 32.00 R. Rare. Brown patina with green spots. VF/About VF.